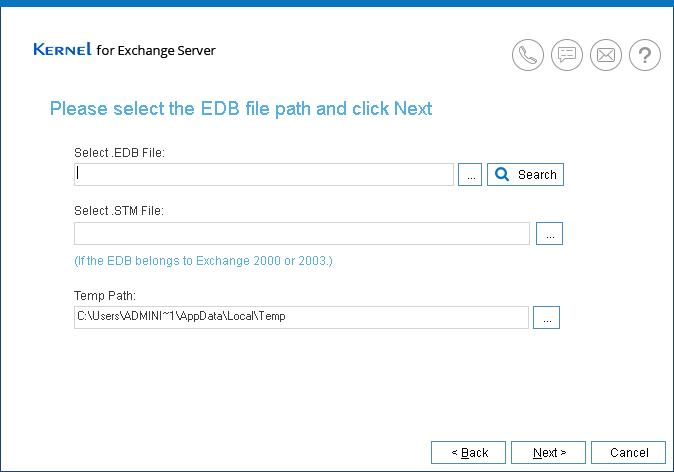 Select ‘offline EDB file’ option to add it as a source. 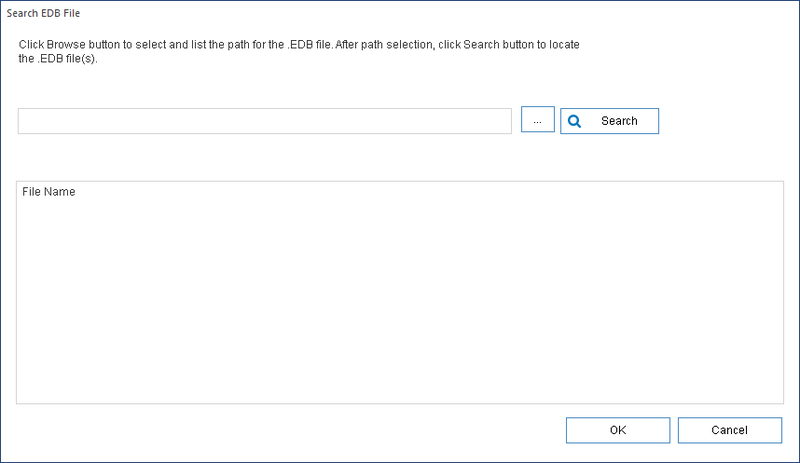 Use ‘Browse’ or ‘Search’ option to provide the location of EDB file. 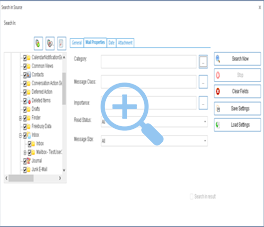 With ‘Browse’ option, provide the file location manually. 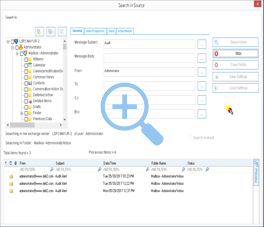 Use Search option to allow automatic searching of file from the volume. 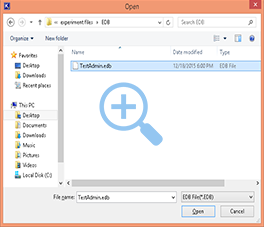 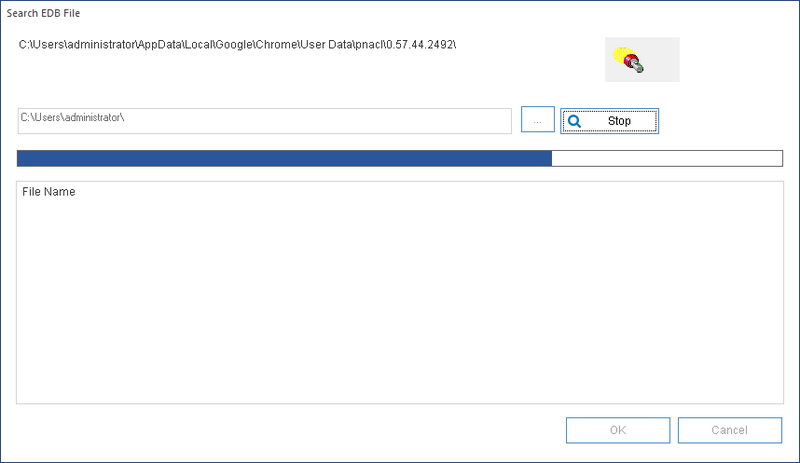 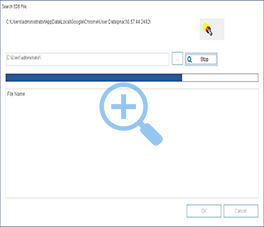 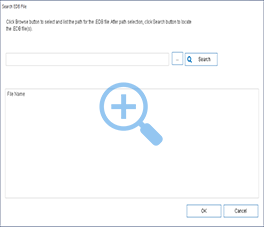 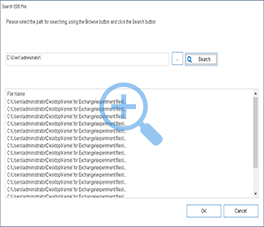 Searching for EDB files from the user selected volume. 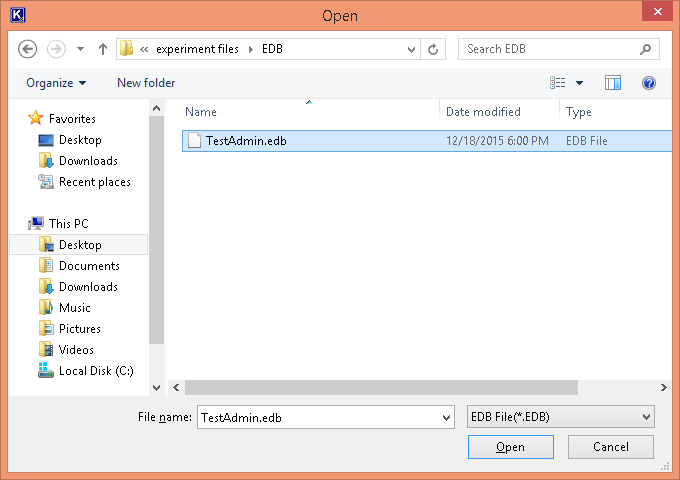 Displaying all the EDB files in a list after the search is complete. 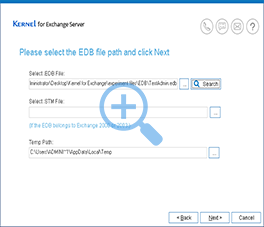 Select the desired EDB file to add it as source. 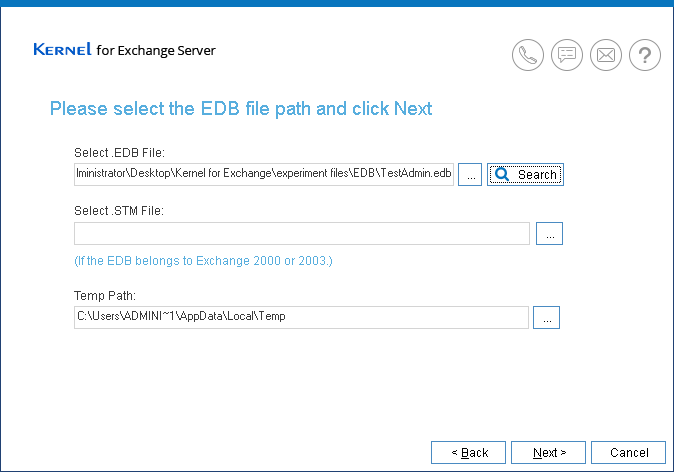 EDB file is added successfully. 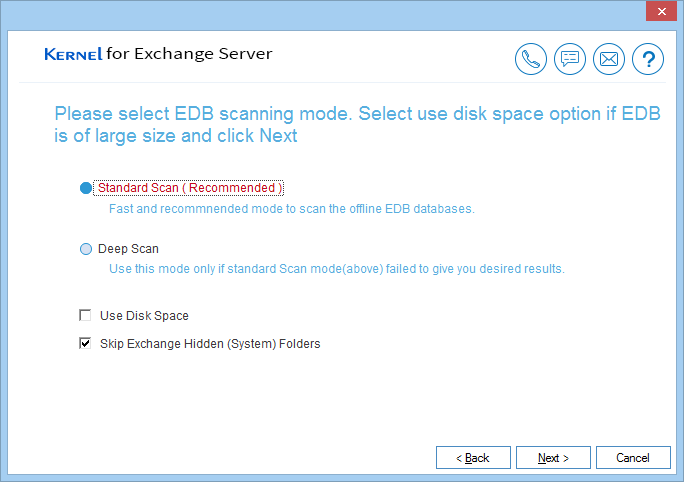 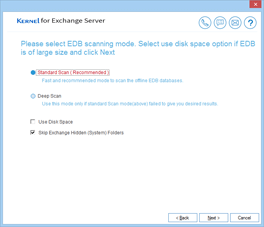 Select any of the two recovery modes to recover corrupt EDB file. 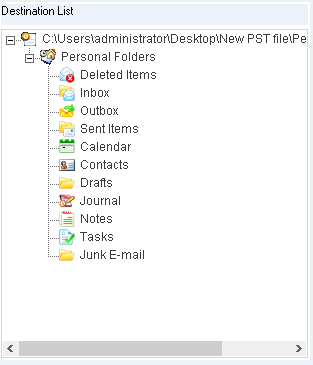 All mailboxes are recovered from EDB file, and can be previewed thereafter. 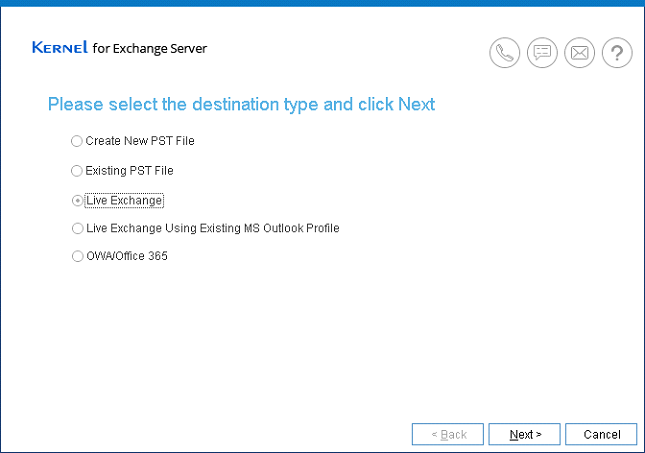 Select ‘Live Exchange’ option to add as source. 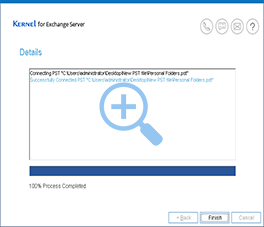 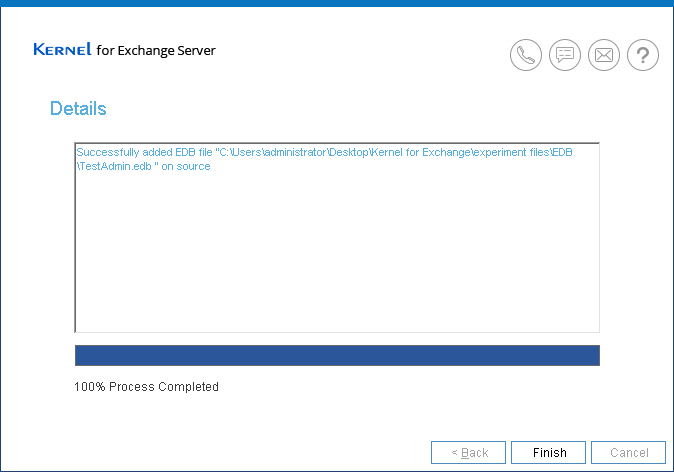 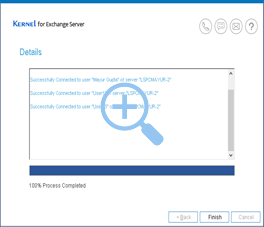 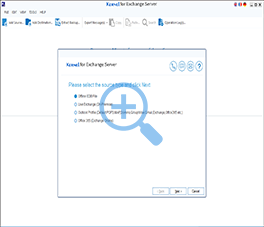 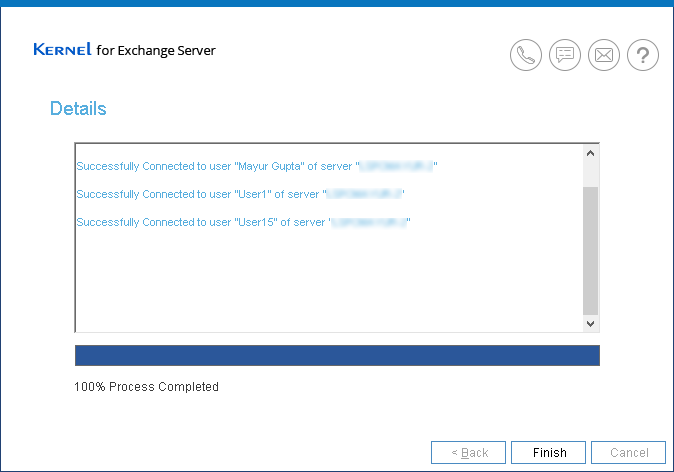 Enter the Exchange Server credentials to connect, and start the process. Provide the login credentials of the user. To connect multiple mailboxes, you need to provide remote mailbox login credentials. 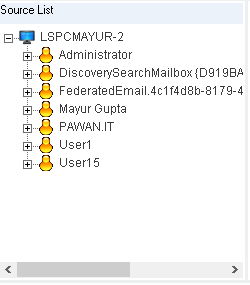 Remote login is successful. 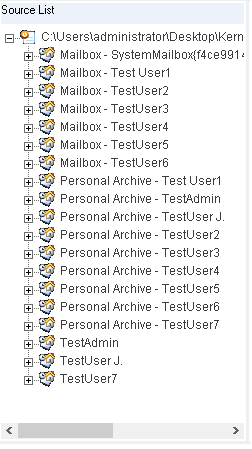 All the mailboxes are displayed. 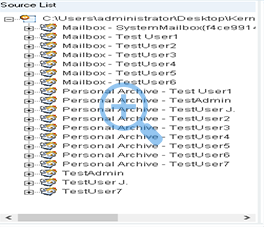 Checkbox the desired mailboxes to add as source. 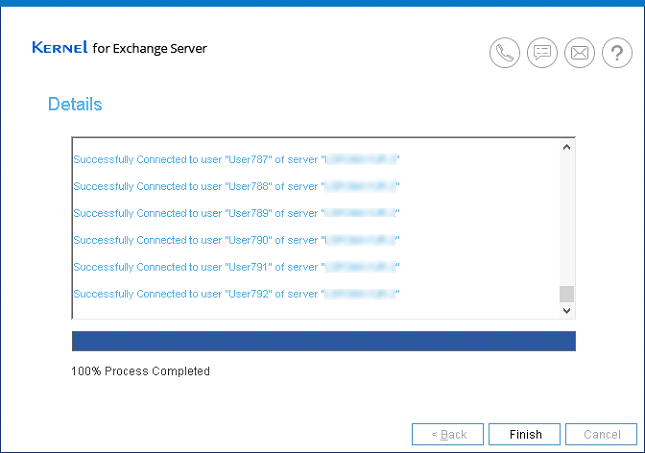 Live Exchange is successfully added as source. 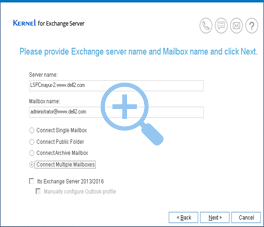 Live Exchange mailboxes are displayed in the source list. 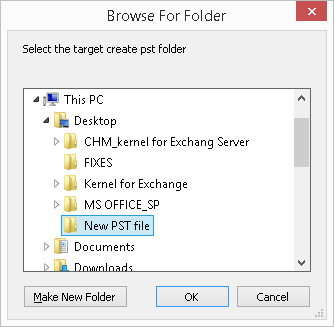 Select ‘Create New PST file’ option to add as destination. 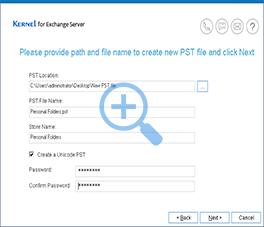 Provide the location to create new PST file. 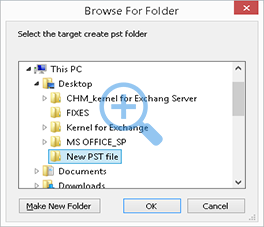 Browse the folder where you want to store PST file. 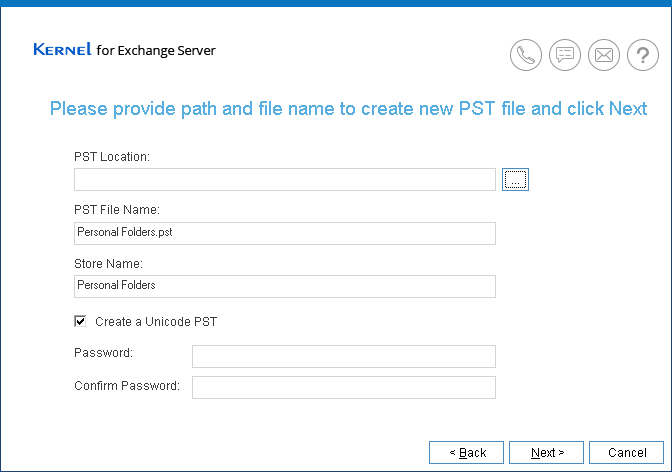 Use the optional fields to create Unicode PST, and create password-protected PST file. 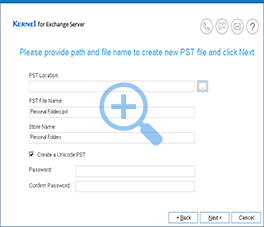 PST file is successfully added as the destination. 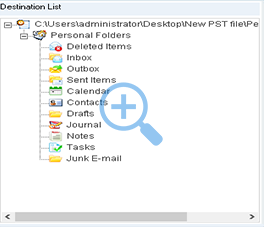 The newly created PST file is displayed in destination list. 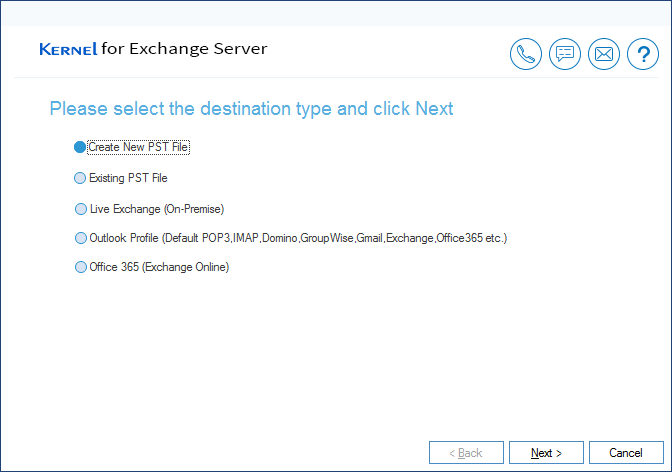 Select ‘Live Exchange’ option as destination. 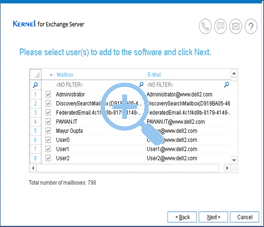 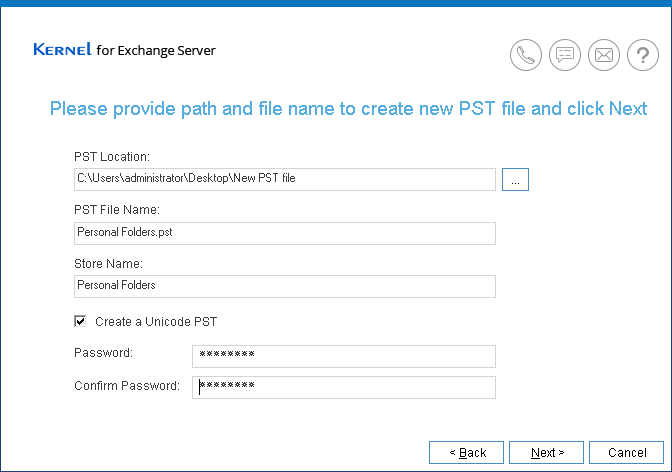 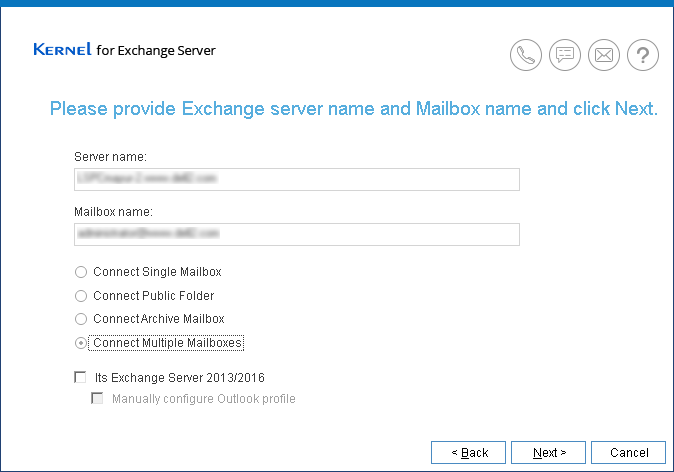 Enter the Exchange Server name and mailbox name to connect. 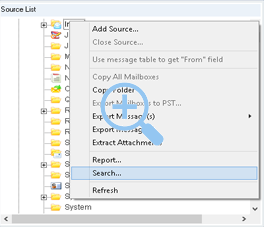 Select ‘connect multiple mailboxes’ option to add several mailboxes at once. 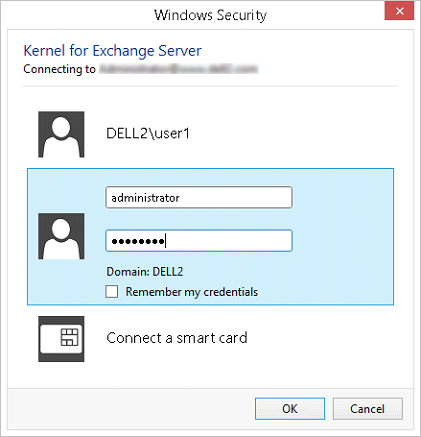 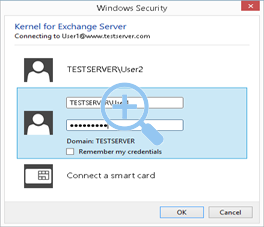 Provide the Exchange Server credentials to start the process. 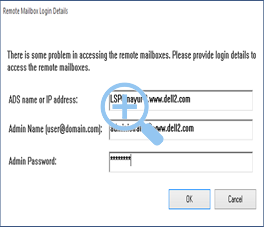 Provide Remote Login Mailbox credentials to add remote mailboxes as well. 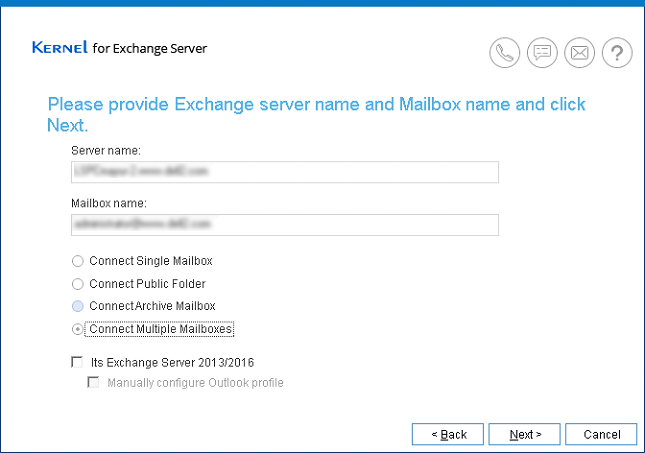 Put a check against the mailbox that you want to restore to live Exchange Server. All the selected mailboxes are added as the destination in live exchange. 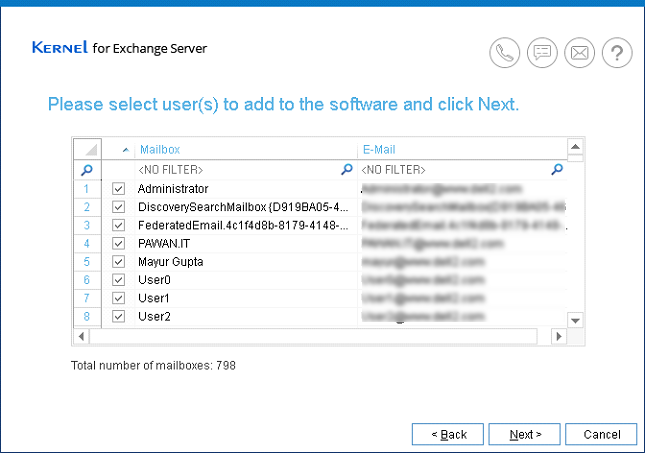 The mailboxes are also displayed in the destination list. 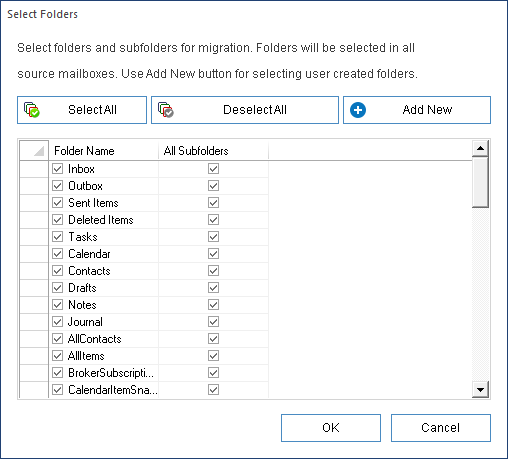 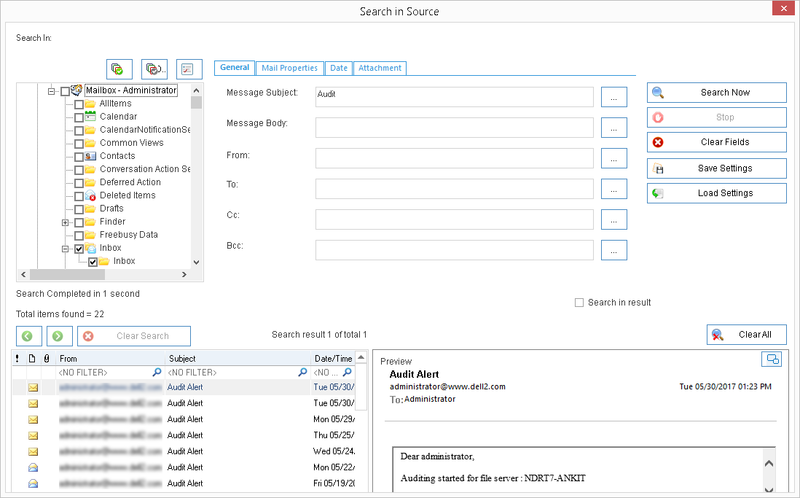 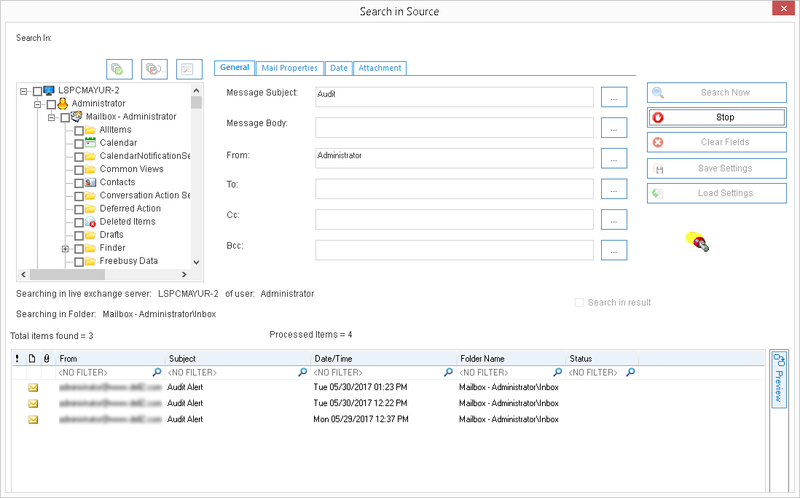 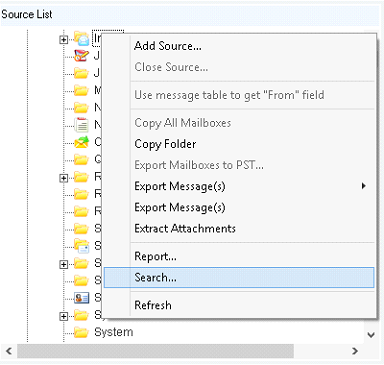 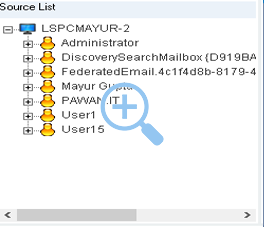 Select any mailbox/folder from source and right-click it to perform Search operation. 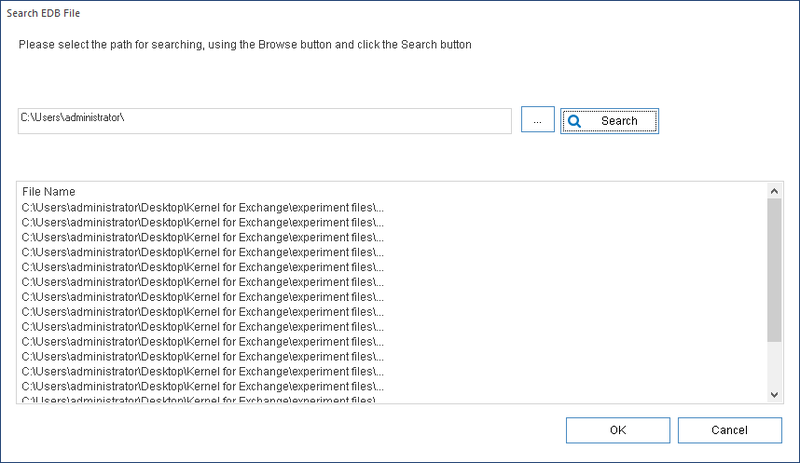 Search the required message from multiple mailboxes (EDB file, live Exchange) simultaneously. 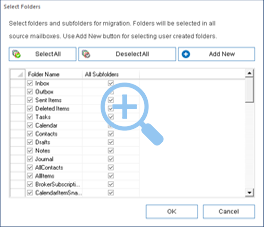 Option to select/deselect folders and subfolders to perform the search. 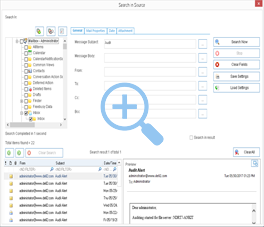 Search with any specific phrase/word, search items by date range, attachment size etc. 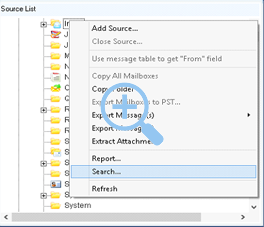 Select any message from searched results to view its details immediately from preview pane.